Garment Manufacturing and production control. Down to the individual level. Comprehensive performance measurement, Reward & Incentivization, Compensation calculation, leaderboards and more. Everything happening on the production floor, from anywhere. The real information you care about. Historical and live views on who finished what when. Accessed from any device with internet. Costing tools, cost per style, labor needs estimates and live costing tools on ongoing projects. We took the time to think of everything so you won't have to. Pay nothing in advance. Our entire cloud solution is a pay-as-you-go offering. Hardware Included. With a convenient offline mode, our devices collect data and process transactions even when not connected. Whenever the connection is back, it simply syncs everything. Encrypted, isolated and protected with the latest in web security. No special wiring, no trained staff required and no complicated installation. Just plug our devices into outlets and configure everything online. The only entity benefiting from your data is you. We do not share your data with any entity. It takes workers 3 online videos and system administrators online guides for it all to make sense. Garment IO offers a complete data ecosystem for your factory. With a cloud-connected proprietary device at every transaction point and our modular cloud system, nearly every action in your factory is logged, analyzed and reported to you in the format of your preference to support you in your strategic decisions. 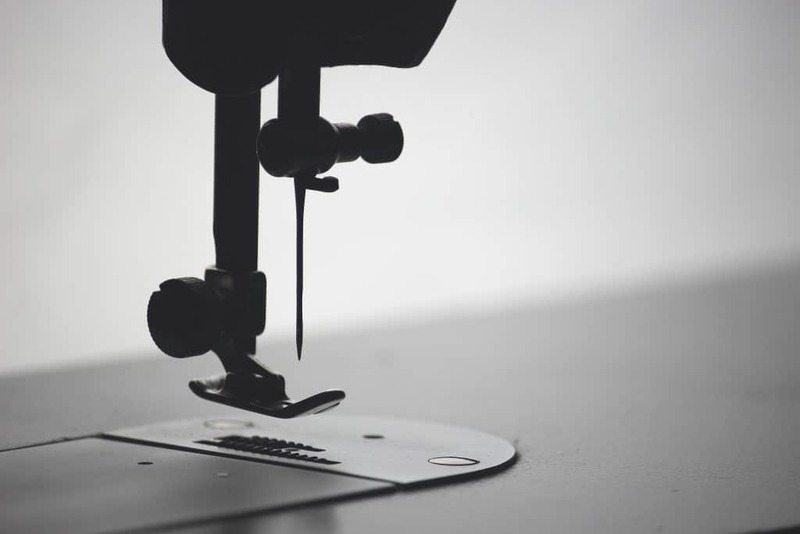 A tailored garment manufacturing ecosystem that bends to your needs. Request a call and we'll walk you through how Garment IO can truly revolutionize your factory. Yes, it’s better than an ERP. Yes, you won’t need a technician. And yes, we support Arabic. What factory size do you support? Every size. From 1 machine to infinity. Our system is truly scalable. None. Our platform, devices and software all come bundled in a quarterly subscription. Is my data secure on the cloud? Yes. We use the same security standards and infrastructure requirements as most online banking solutions. What equipment or requirements does the factory need to run the system? Wifi internet connectivity and an electric plug for every device you want to install. That is all. Yes, our system views are completely mobile and touch friendly. You can access the system using any browser on any device. Once you request the call, we guide you through the rest. Here’s an idea on what that looks like. We’ll give you a call at the time of your convenience. Sign up by receiving a special link to pay by credit card and make your device order. 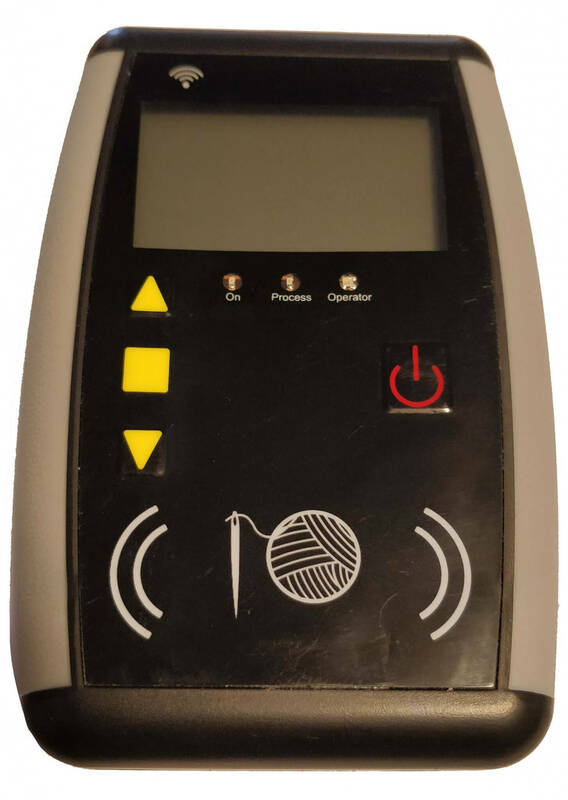 A Garment IO Professional visits your factory, delivers and installs the devices. They then provide a 2-hour workshop for your factory staff on how to fully utilize the Garment IO System. Complete and unlimited on-call and online support for you and your staff on how to utilize the system, operate it and troubleshoot it if needed. Easy access to order more devices, replace devices, automated credit card payments and more. Add, edit, move to trash, restore, view separately and consolidate production orders, styles, processes, batches, machines, workers, users, departments and everything else. Even colors! Worker check-ins, check-outs and batch completion for every process at every point in every production line, real-time. Productivity, cost, performance, compensation and more reports. At your disposal live, without generation. 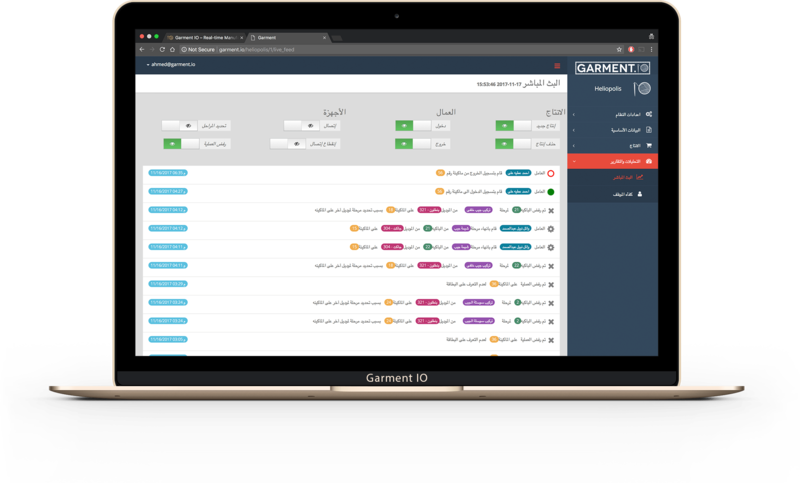 Garment IO is a plug and play Garment Manufacturing Management Solution combining software and hardware to give garment factory managers and owners a complete overview on production processes, worker performance and production cost calculation. All down to the transaction detail, real-time and accessible online. Copyright © 2019 Garment IO. All rights reserved.